This so-called "wardrobe" hook has many uses. 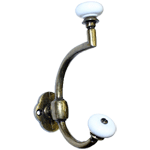 It's small size is perfect for the kitchen, bathroom, hallways and other areas of the house. 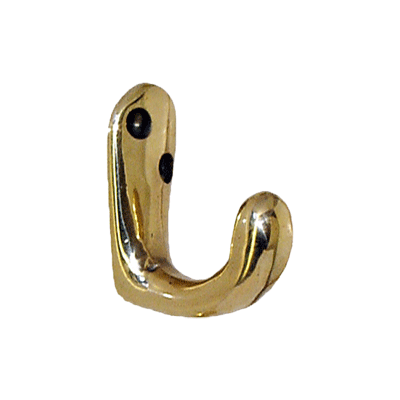 This coat hook opens up the possibilty of other uses besides just for coats. 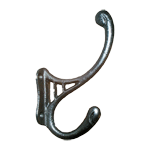 Package contains one single hook and mounting screws. Item ships same or next business day. This item is $3.24 when your order exceeds $250 before shipping in qualifying items.